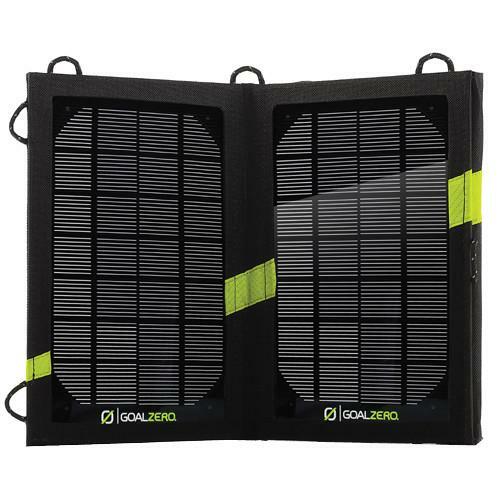 We recommend checking out our discussion threads on the GOAL ZERO Nomad 13 Solar Panel (Black) GZ-12003, which address similar problems with connecting and setting up Solar & Portable Power GOAL ZERO. The user manual for the GOAL ZERO Nomad 13 Solar Panel (Black) GZ-12003 provides necessary instructions for the proper use of the product Optics - Outdoor Gear - Solar & Portable Power. 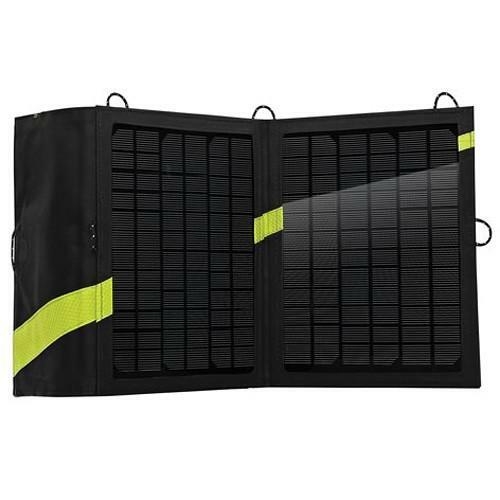 The black Nomad 13 Solar Panel from GoalZero is a portable and foldable solar panel that will directly charge small electronics like smart phones and GPS units, or GoalZero battery packs. This unit puts out 13W of power, and you can chain multiple Nomad units together to increase wattage output for added versatility. The solar panel features a standard USB port to plug your device's charging cable directly into. Use the 12 VDC output, with included car/vehicle plug adapter, to charge electronics like satellite phones. The weather resistant design has loops to secure it to surfaces like tents for catching optimal sunlight, or back packs to catch a charge during a hike. If you own a GOAL ZERO solar & portable power and have a user manual in electronic form, you can upload it to this website using the link on the right side of the screen. Box Dimensions (LxWxH) 12.4 x 10.1 x 2.2"
The user manual for the GOAL ZERO Nomad 13 Solar Panel (Black) GZ-12003 can be downloaded in .pdf format if it did not come with your new solar & portable power, although the seller is required to supply one. It is also quite common that customers throw out the user manual with the box, or put the CD away somewhere and then can’t find it. That’s why we and other GOAL ZERO users keep a unique electronic library for GOAL ZERO solar & portable powers, where you can use our link to download the user manual for the GOAL ZERO Nomad 13 Solar Panel (Black) GZ-12003. The user manual lists all of the functions of the GOAL ZERO Nomad 13 Solar Panel (Black) GZ-12003, all the basic and advanced features and tells you how to use the solar & portable power. The manual also provides troubleshooting for common problems. Even greater detail is provided by the service manual, which is not typically shipped with the product, but which can often be downloaded from GOAL ZERO service. If you want to help expand our database, you can upload a link to this website to download a user manual or service manual, ideally in .pdf format. These pages are created by you – users of the GOAL ZERO Nomad 13 Solar Panel (Black) GZ-12003. 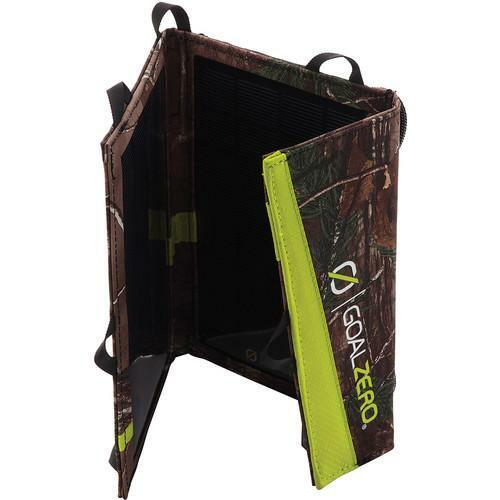 User manuals are also available on the GOAL ZERO website under Optics - Outdoor Gear - Solar & Portable Power.